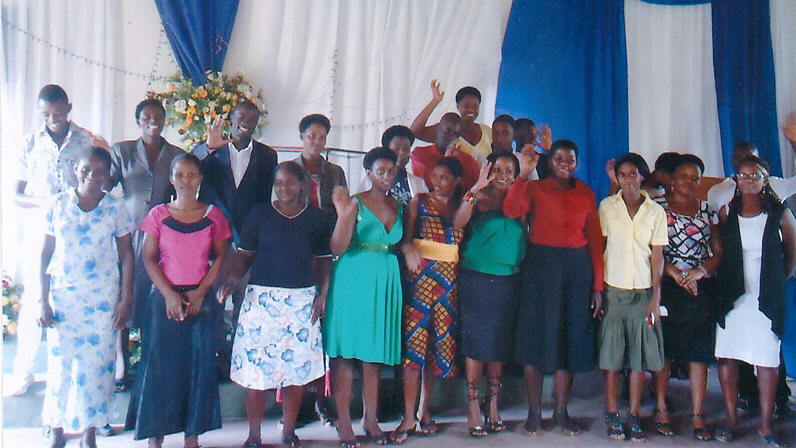 I delivered this message to the Ladies of Hope in Uganda thinking that it was about having a lack of belief that God could or would do great things with you. While not necessarily applying to Jonah, it certainly resonated with the Ladies of Hope to whom I was speaking. These women have been emotionally beaten down so deeply that when they first came to the church to accept Jesus as their Savior, they could hardly hold their heads up. There was no self-respect and no confidence in anything that had to do with themselves. Some had been forced into prostitution by their mothers at the age of 12 and 13 years of age and had never had a chance to believe in themselves. They were defeated, broken, and lost. They have come a long way. A very long way. But to tell them that God can use them to change the world is still too much for them to handle. There is still that little demonic voice in the background that whispers to them that they are just worn-out whores who are no good, that nobody wants or cares about, and they will never be any good because they are defiled and rotten. It is a struggle to push past those old voices and to stand in victory and believe that Jesus Christ, God Himself, did care. And not only cared but took their place on the cross to pay for their sins. Nobody has ever cared for them. Ever. But wow, God really did this for them? It’s a stretch for them to absorb. I had wanted to make the point that the idea that God cannot or will not use them is a lying vanity, something to refuse, reject, and overcome. They understood that, but the actual response we got from them was something I never expected. It started with Joanne. Joanne breaks out in this great big grin when you speak to her, but always returns to a downcast face when the smile drops. Obviously, something was holding her down. And then day after the message about lying vanities, she came with her little idols to be burnt out back of the church. As we set them on fire, I prayed over her and I’m telling you, it was like a hole opened up in the heavens and sunshine poured out all over her. She was set free! You could feel the chains snap. I thought that was pretty good, but it was just starting. The next day, more ladies came with their idols also. I guess they saw the liberation of Joanne, and wanted the same thing. You see, they took that message to mean that God was telling them that these little idols they harbored in their bedrooms were lying vanities, and if they wanted to be set free – truly free – they would have to burn them. There has been great rejoicing in the House of the Lord this day. What a difference in them! Yes, they have a ways to go, but what a change has happened to them. You could see it in the depth of real emotion and love as they wept and hugged Cindy when we were leaving. Seventy women have hope. They are free. It just doesn’t get much better than that. Of course, Satan immediately attacked. All of a sudden, the landlord threatened to cancel the lease and sell the building to some retail store. Without a church, there is no place for these ladies to go, along with the 20 or so orphans that need to be cared for, and everything else that we have going on there. And of course, whatever little money they had, was sucked up by sudden emergencies that just happened to pop up now. Wow, Satan must really be mad! I think we have struck a nerve! This is the pattern that always takes place when you strike deep. It is always followed by a time of apprehension (think Red Sea). But it is in broken soil such as this that hope is able to spring out of our hearts and allow faith to come into full bloom. And then comes God’s deliverance and provision. The lying vanity here would be to think that because you are in the belly of a whale, there is no way out. But God hears cries of desperation that burst out of a sincere heart that reaches out to grab hold of faith. It is to such times as that which He glories in His deliverances. When Jonah cried out, the whale died just so Jonah wouldn’t get his feet wet when he stepped out onto dry land. These ladies will not only overcome, they will blossom and prosper. Provision and help will come from somewhere, and the testimonies of their challenges will be heard by others who will also come forth out of the darkness of forced prostitution and shed the lying vanities that have kept them prisoner also. It is hard to fully express the feeling of seeing almost 70 women stand up in front of a church and declare how desperately hopeless they were in prostitution but how that they now had found hope and life in Jesus Christ. Here are 70 lives transformed, 70 lives that are now saved; 70 women who have come to life from a dungeon of despair and hopelessness. These are real people. I think that’s what gets me the most. They are not statistics or anonymous stories; they are not some interesting anecdote written on a piece of unfeeling paper; they are real people just like you and me. They had dreams just like we did. They grew up like normal little girls– just like your little girls. They loved things that we love; they laughed, played, sang songs … they lived. Just like us. But in story after story, something went horribly wrong – parents died, uncles or stepfathers raped them, mothers or stepmothers pushed them out into the streets to fend for themselves as young as 9 and 10 years old – the stories can be read on their website: www.LadiesofHope.com. Whatever the reason, they were thrust into a wicked, dark world to be broken, tortured, and diseased with absolutely no hope of escape. In a very short time, they became broken and lost all vestiges of self-worth. Defeated, they drifted from one bar to another, scraping out a day-to-day existence crawling under a weight of oppression that engulfed them. The only promise and hope they had in life was death. And now, here they are up in front of the church singing Gospel songs and raising their hands to God who has saved them from death and degeneracy. Somebody actually loved them, even enough to give His life so they could be forgiven. Man, I am telling you, if you can sit through that with no tears, then you are as hard as nails. I couldn’t. And Cindy? Forget it. Especially when they started thanking her for starting the process that led to their salvation. You see, it was just three years ago when Cindy ministered to some women that led to this whole operation, and they look at her as their mother who rescued them. Now we are faced with a challenge. Our success has become our problem. The sound of deliverance has been loud. More and more of these prostitutes are coming in off the streets desperate for help and almost every one of them and their children are dying of AIDS. The Lord has healed several of them, but others have died. When they die, no one will take in their children, not even their grandparents, so they are left for us to take care of. The number has grown to a point where we have to have an orphanage and a facility to take care of the growing number of helpless women and orphans … AND we need someone who knows how to run one! You’d think the churches would help, but they look at these women as dirty, defiled, and of no human value. They have rejected them even after hearing the testimonies of their salvations. Why am I not surprised? Is this not always how the denominational Church has reacted to the lost and suffering? So here we are. I have a week here to figure something out. I have to say, I’m a little overwhelmed. Who will I find to come to Uganda to take charge of running an orphanage and a ministry that is burgeoning in size? And how will I find an outlet to produce enough finances to keep it running? I am a revivalist, not a business manager. I may not have graduated from Harvard Business School, but my Father knows business better than anyone. He will provide; He always does. But He uses people. Perhaps He will recruit even you. If you feel the burden to help, come to www.LadiesofHope.com, hear the testimonies, feel the hope, catch the vision, contact us and lend a helping hand. This formula seemed to have worked fairly well just before in Cyprus, so why not try it here on the mainland? Pretty much it amounted to run down a quick history of the Messianic story, dismiss the Levitical covenant that these Jews had invested such an abnormal amount of intense obedience to, explain to them that all they have to do now is believe in the Nazarene, toss out the blood sacrifices, and ask God to forgive them. Pretty simple. And oh, by the way, if they didn’t, they would burn in Hell. Paul would not have been a good used car salesman, but he certainly made his point – the old religious system was finished and God was moving in a brand new direction. Not that God had not given them plenty of notice – the Old Testament is full of distinct and revealing prophesies – it’s just that they never saw it. But it is always that way. The religious rulers had read the voices of the prophets every Sabbath but never heard what they were saying. Why was that? Were they just more comfortable with a religious spirit that had constructed rigid limits? Or were they bent on following their own hearts rather than surrender to the leading of the Spirit of God when it led in ways that they did not like? Whatever the reason, that same religious tendency to reject any new stirring of the Holy Spirit still continues today. Just recently, I spent a few weeks in eastern Congo bringing a message of revival to several churches that were part of a large denomination there. The results were explosive – over 700 souls came to the altar, churches were revitalized to go back out and bring in souls, and a general spirit of rejoicing was ringing in their services for the first time in decades. Pastors told me that it had been years since anyone had gotten saved at their churches, but now they were excited with this new message to bring in the lost and start the wheels of revival rolling. Guess what happened next. The elders rose up and told these pastors that they were not allowed to do that. In this denomination, you have to be saved for 6 years before you are allowed to witness or minister to others. They warned the pastors that if they continued to send their people out to the streets to bring in the lost, they would kick those pastors out of the denomination. Huh? Am I hearing this right? This denomination, which had been forged in the fires of its own revival a couple generations ago, now could not recognize a moving of that same Spirit that had fashioned it years ago. Go get ‘em, Pastor! Forget these religious Pharisees who would try to stop a genuine move of the Holy Ghost! Ring the bell of Freedom and declare liberty to the lost. Let every devil in Hell be put on notice that we are not going back to the stifling consort of religious ritualism but are moving forward into a new day of revival. Think this is only unique to the religious Pharisees of Jesus’ and Paul’s day, or that this is happening in Africa but never here in America? Think again. The Bible is full of warnings to the Church in the last days that there will be a famine for hearing the Word of God and that the people will be starving for pasture and not be able to find it. There will be a great falling away in the midst of a swarm of churches who will heap up to themselves the teachers to tell them the things they want to hear, and turn their ears away from hearing the truth. Revival is coming. It is written in the Book of Joel; it shall come to pass. But it is not coming to the churches. It is coming to a new generation of believers who will throw off denominational constraints in favor of a freedom in the Spirit that will lead into a new sense of holiness and righteousness in the fear of Almighty God. God will raise up a Gideon Generation to become Joel’s Army to bring the greatest revival of all time just before Jesus Christ returns. But the churches will miss it because they are stuck in the mire of religion.